Let the Career Center at Richmond Community College help connect you with your next job! 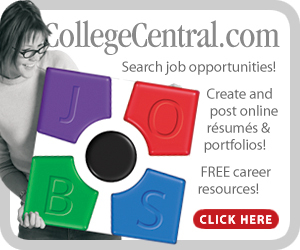 College Central Network (CCN) is the online job board for RichmondCC. Click the link to view positions posted by area employers seeking RichmondCC students, alumni, and community members to fill positions or internships. New jobs are posted daily including full-time, part-time, and flexible schedule positions. Jobs can be sorted by type (full-time, part-time, etc. ), major, location, degree, and many other ways. RichmondCC works with employers and area workforce centers to promote job opportunities for students, alumni, and community members and provide the training and educational experience needed to fill positions in a wide variety of technical and occupational areas.